Just like the exhale needs the inhale, our bodies need relaxation after exertion. Tight on time? Stick with the 3 Key Takeaways and The Basics. These will provide your athletes with a solid foundation for understanding recovery. Getting enough rest on a daily basis is vital not just for physical recovery, but studies prove that sleep—or lack thereof—directly influences memory, creativity, weight maintenance, academic skills, stress, and depression. 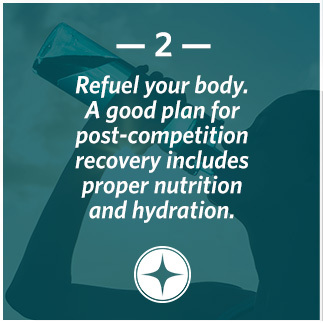 Eating the correct foods and properly hydrating after a hard game or practice—and eating healthy meals daily—will maximize recovery. 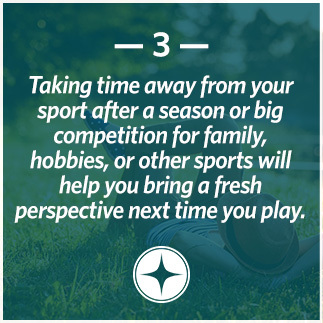 Being able to step away from your sport for a break at the end of a season will rejuvenate your spirit and enthusiasm for the sport. A silver medalist in indoor volleyball at the 2004 Olympics in Beijing, Ogonna Nnamani knows as well as anyone how proper preparation and recovery can improve athletic performance. Pre-game routines build confidence and increase opportunities for success, and Ogonna understood the importance of having a simple routine before serving at practice, competitions, and even the Olympics. Ogonna talks about being mindful of every repetition she takes in practice and thinking about how each will feel in a game. Her routine prior to serving included bouncing the ball three or four times, taking a deep breath, and lining up the seams before serving. 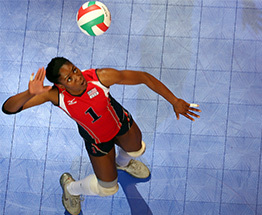 At the 2004 Olympics, Ogonna had an embarrassing moment in one match when she was serving: Instead of going through her routine, Ogonna went ahead and served the ball without even waiting for the whistle to indicate that play was live. Ogonna was pretty embarrassed, but once she calmed herself down, she stuck to her regular routine on sport’s biggest stage and began to play her best. An important part of being the best athlete possible is believing in yourself and using visualization as a technique to prepare for athletic success. Learning about recovery was also something Ogonna had to learn the hard way. After having numerous injuries, she realized that what she did off the court was incredibly important. Ogonna started taking the time to stretch and reflect about things she did well during practice, as well as things she wanted to work on. 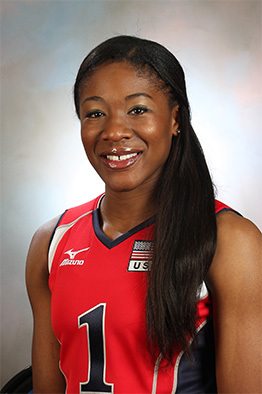 Because of the amount of serving and hitting in volleyball, Ogonna understood that taking care of her shoulder was important, so she began using resistance bands to strengthen her arms and taking ice baths to help her muscles recover quickly for the next day. 2. Do you think Ogonna and her team would have medaled in the Olympics if they didn’t have a good post-practice and post-game recovery routine? Why or why not? 3. Do you have a post-game routine that helps you recover better? If not, what are some ways you could integrate a basic one? 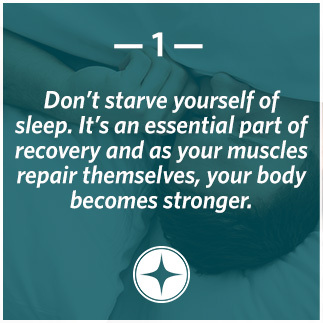 Use this 15-minute activity to reinforce the importance of proper recovery with this short guided discussion. These 15 & 20 minute activities will help your athletes wind down after a stressful game day and teach them how to develop a strong nighttime routine. Celebrate your group’s completion of the TrueSport Recovery lesson with this special certificate. Sign-up to receive Recovery resources! Subscribe to our Newsletter to stay informed on the latest Goal-Setting updates. If you are a coach or parent that wants to develop well-rounded youth athletes, check out our Learn Recovery section for all the latest articles and infographics regarding Recovery.